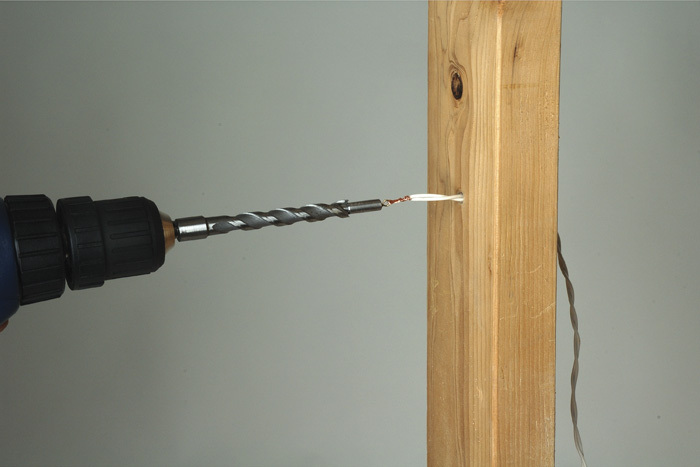 The ReBore-Zit drill bit is the only drill bit designed to enlarge a previously drilled hole while retaining the existing wire in that hole. 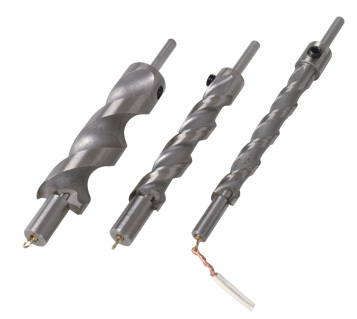 The bit is fabricated with a custom made, hollow bodied drill bit containing a free spinning, swivel eyelet mounted to its pilot hole center shaft. 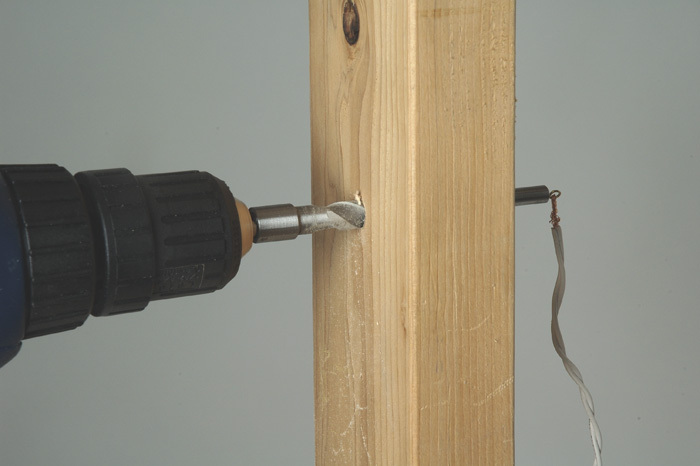 Just secure your existing wire onto the eyelet and re-drill your hole to a larger size. The bit will not twist the wire. Available in 3/8”, 1/2”, 3/4”, 1” (final size of re-drilled hole) diameters. Each diameter has an associated pilot hole size. Use the appropriate ReBore-Zit bit to accommodate the pre-existing hole (pilot hole) and step-up in ReBore-Zit sizes until you obtain your desired final hole size.